Professor Grazia Ietto-Gillies is an economist whose academic career started at the University of Siena and continued at London South Bank Polytechnic/University where she became Head of International Business. She was instrumental in the development of the Master in International Business and in the establishment of the related Centre for International Business Studies of which she was Director for many years. She was awarded the title of professor by LSBU and, after retirement in 2003 she also had Visiting Professorships at: The Open University; King’s College London and Birkbeck University of London where the attachment continues. many international institutions. Her teaching has been largely in the economics of transnational corporations. 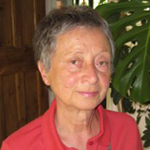 Professor Grazia Ietto-Gillies studied at Rome University ‘ La Sapienza’ writing a thesis with Professor Bruno de Finetti the well-known probabilist. She worked first in a research institute attached to the Italian Treasury and, after a year of post graduate studies at the MIT she became a junior lecturer at the University of Siena. In 1971 she moved to London and in 1973 she started work at the Polytechnic of South Bank. She gradually rose from junior lecturer to professor and Head of the School on International Business and Languages. She has always been involved in research and published several books – her last one translated in Japanese and Italian - and many articles in academic journals. Grazia has contributed extensively to course development and to the management of academic units. She has examined PhDs both internally and for other institutions. She has made presentations – as research seminars and lectures – in many international institutions all over the world. Since she retired in 2003 she has developed research projects in: the economics of transnational corporations; internationalisation and innovation; labour, internationalisation and outsourcing; a critique of the peer review system of research evaluation. She is co-founder of the World Economics Association (WEA). She has had a life interest in literature and has recently published a memoir of the childhood in Calabria, southern Italy: By the Olive Groves. A Calabrian Childhood, IB Tauris, 2012. Before retirement Grazia taught several modules from macroeconomics to problems and issues in the British Economy, to international business to economics of the transnational corporations. She has taught lectures as well as seminars and tutorials. She has supervised many research dissertations, mainly at Master level. Professor Ietto-Gillies is an economist specialising in the economics of transnational corporations. Her research interests are in the areas of economics of transnational corporations; internationalisation; innovation; absorptive capacity; labour relations; outsourcing and transnational corporations. In these areas she has published several books and many articles in academic journals. She has also published in issues related to de-industrialisation of the UK and, more recently, on critical analysis of the Peer Review system for research evaluation. She has presented papers and given lectures in many institutions all over the world. Grazia’s current research is in the following areas: internationalisation and innovation; absorptive capacity: development of indicators at micro and macro levels; internationalisation, outsourcing and labour relations: the case of FIAT. She is also currently working on the third edition of her book: Transnational Corporations and International Production. Concepts, Theories and Effects.